The Harding’s called us because they had been trying to sell their cedar sided home for almost 3 years without any offers! I think you can see why! We were hired to fix the railing system and restore the cedar home back to new condition. This is a job for only a company like ours, we thrive in these situations and take great pride in restoring homes like this one! Here is a picture of the front, now that the rails are back up in place and the home looks brand new, in fact, the house sold only weeks following this restoration and the customers even added the cost of the restoration to the selling price and got full asking price! The high quality ingredients of Lovitt’s Natural Gold oil based wood finish has really brought the cedar back to life and will protect it for many years ahead for the new owners. 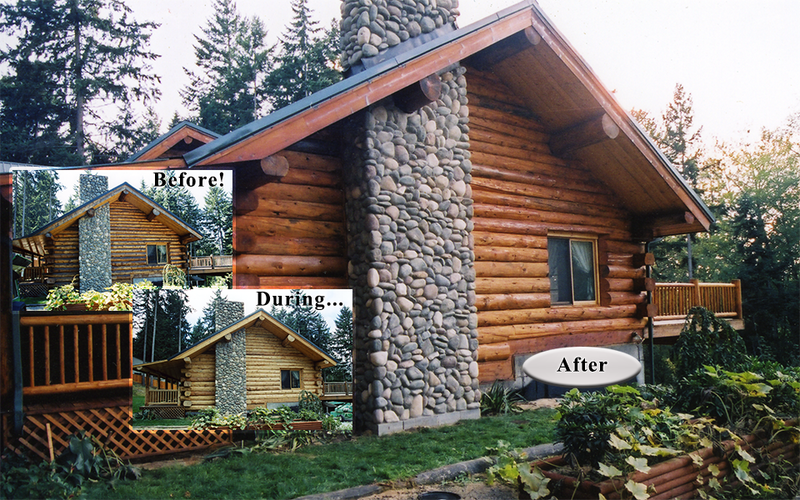 Call us now for a free estimate to bring your darkened cedar siding back to a display of natural wood beauty!